Happy Monday Kurlees! I know there is nothing happy about Monday...In fact if Monday was a person I would slap her. I'm dead serious....tho.. my favorite days of the week are Payday and Holiday. 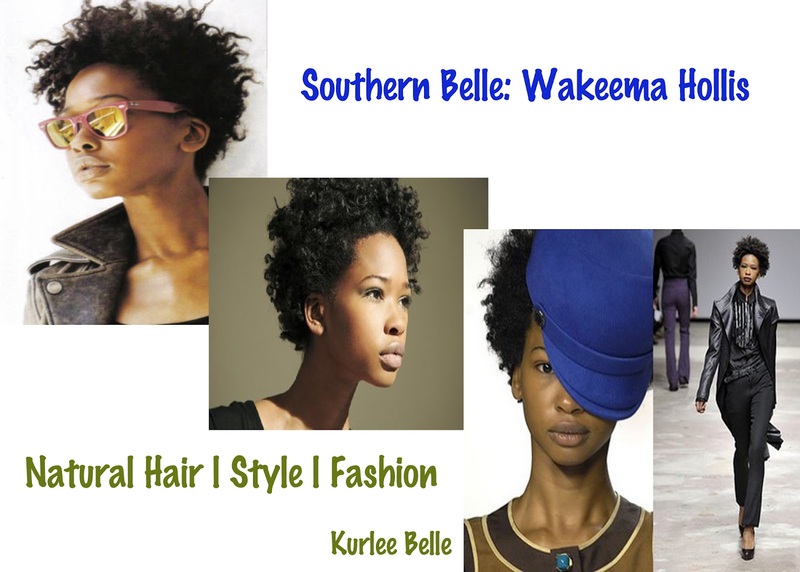 In honor of Black History Month, we will be featuring natural hair models that walk the runway. Today's featured model is Wakeema Hollis, who goes by the model name Hollis---because in her opinion its easier than saying Wakeema. She was born in 1984 (Yay for all the 1984 babies- YOU ROCK!) in Memphis, TN. Her most striking features are her beautiful Mocha skin, graceful long neck & legs and fierce natural hair. Hollis is not afraid to flaunt her bomb afro. Occasionally, you'll see her on the runway with long natural hair extensions but her signature look is her untamed TWA. No matter what she wears, she makes it look darn good! Do the damn thing girl!